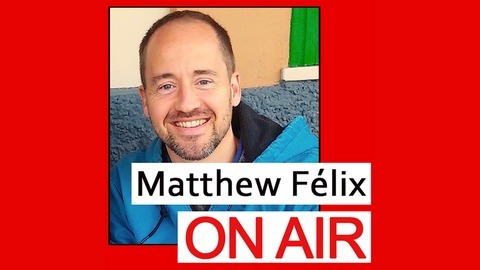 Matthew Felix On Air: People Who Create. People Who Make a Difference. Are you interested in Paris? Do you like suspenseful literary novels? Two unrelated questions, except that on this episode I talked about both with author David Downie. David is a San Francisco native who has lived in Paris for over thirty years and has written a new novel, The Gardener of Eden, that takes place in the Pacific Northwest. 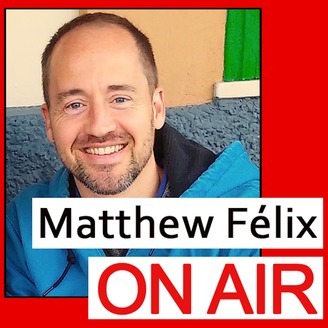 We talked about Paris, his new novel, and much more. David Downie has written for over 50 publications worldwide including Bon Appétit, The Los Angeles Times, Town & Country Travel, The San Francisco Chronicle, epicurious.com, and Salon.com. He is the author of the critically acclaimed Paris, Paris: Journey into the City of Light, three Terroir guides, as well as several cookbooks and crime novels. Next show Writer, filmmaker, and LitWings founder Erin Byrne and I chat in Paris, France! Video: Apologies! Currently unable to upload full video episode due to slow connection in France. Stay tuned!